I am often asked what to buy a pastor as a gift for Pastor Appreciation Month (which is October btw). One of the best gifts you can buy a pastor is a Bible. A pastor, more than anyone else, needs multiple Bibles. Even if they have several they can always use one more. 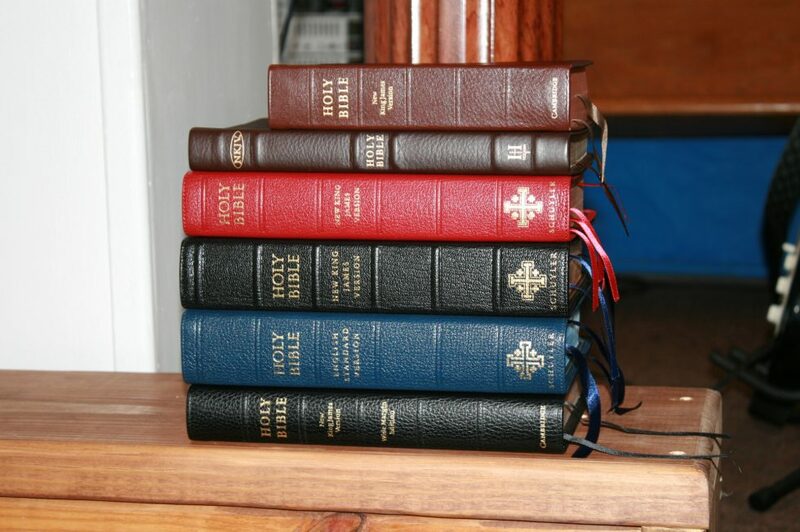 Pastors actually need several Bibles to suit various purposes. No one Bible can suit every purpose perfectly. In this article we’ll look at some ideas for buying a Bible for your pastor. I’ve even recruited a few reviewers, preachers, and pastors and asked them to give advice from their own experiences and preferences (my apologies to all of those I missed). No one Bible can do all of these tasks perfectly. 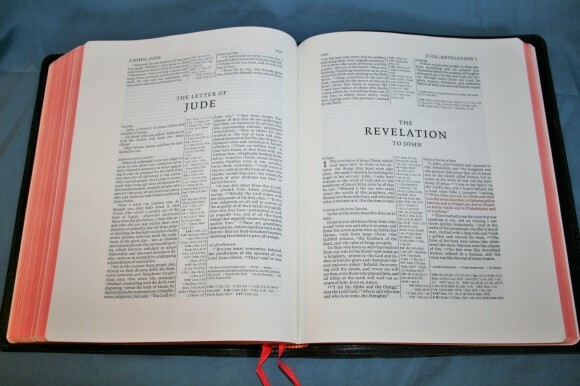 The typical reference or study Bible is a multi-tool. They can do a lot of things but they don’t really excel at any of them. Specialized Bibles, such as those for journaling or reading, are better for a specific purpose but that’s really all they can do. Sometimes a pastor needs to use a Bible with Greek word studies, while other times the pastor needs a Bible with room to write notes, or a Bible to carry to hospitals, to preach from at their home Church, to preach in other Churches when they have to pack light, to preach on the streets, to read with no distractions, to help them through difficult situations, to help them help others, with succinct commentary, with detailed commentary, or other study tools. Rather than trying to find one Bible that can suit all of these purposes I recommend a Bible that excels at one purpose. Let’s take a closer look at each purpose. A reading Bible would place the emphasis on the text. Ideally it would remove all of the distractions – references, footnotes, and even chapter and verse numbers. If it has these features they would be secondary and blend in as much as possible. The layout would improve readability rather than hinder it. Single column paragraph format is a popular choice for improved readability. 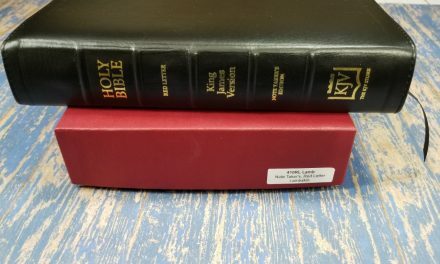 Choices include the ESV Reader’s Edition, 6-volume set, Holman Reader’s Bible in KJV or NKJV, or even Bibles such as the Single Column Legacy or Heritage. Even the Clarion series makes for great reading Bibles because the verses numbers tend to be invisible. Carry Bibles are great for reading the Bible on the go, ministering in hospitals, nursing homes, prisons, etc. They don’t need to have study tools but a few topical lists or references might be helpful. The smaller and lighter the Bible is the easier it is to carry it around. Of course this also means smaller fonts or fewer features. Thineline and compact editions are great choices and you can get them in almost any translation and with or without references. Unless the pastor requires larger print it’s best to get 8-point or smaller. Great choices include the Pitt Minion series from Cambridge, Cambridge Cameo, the Holman Pocket Minister’s Bible, the Cambridge Standard Text, TBS Windsor, Zondervan Skinii, TBS Pocket Reference, the Holman Compact series, etc. Even in our digital age there are still a lot of pastors that prefer printed books. Even if the pastor prefers digital tools there are times when digital just isn’t available. Study Bibles are great choices because the have a lot of study tools. They often have commentary, word studies, topical tools, references, concordance, maps, charts, etc. These tools are often slimmed down, so they won’t take the place of specialized tools such as a 10-volume commentary set, but they will be helpful for study and sermon prep. For studying and preparing sermons, the more information the better, so it doesn’t hurt to have more than one Study Bible. 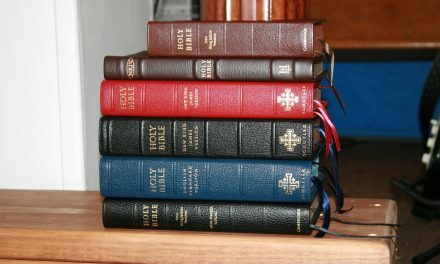 There are several different types of Study Bibles. The most popular type is generalized. They’re made for specific denominational groups but they cover general information from that viewpoint. Others focus on a specific topic such as Creation, archaeology, spiritual warfare, or prophecy. Another type gives you the tools to do your own study. These usually have topical lists, dictionaries, etc. 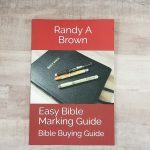 If your pastor has one type of study Bible you could get one of the other types. Wide Margin Bibles can be considered the ultimate Study Bibles. They don’t come with all of the study notes… the person doing the studying has to add that themselves. They’re great for keeping quotes, notes, lists, sermon outlines, etc. The pastor can compile the information they need into a Bible that ends up being a custom Bible made just for them. Many even use them for preaching. In my opinion every pastor needs a Wide Margin Bible. I recommend getting the highest quality possible as they are great for heirlooms. Excellent choices include the Cambridge series, Crossway’s ESV Wide Margin, Hendrickson Large Print Wide Margin, and LCBP Note Takers. Bibles for preaching don’t need to have the same tools as Bibles for study or reference. In fact they really only need the biblical text. Large print Bibles with no distractions are my favorite choices for preaching. Some prefer verse-by-verse because the verses are much easier to find, while others prefer paragraph because it helps keeps verses in context. Many pastors want a little bit of margin space for short notes. I typically prefer a larger text than the one I carry around in the car. Many pulpits don’t have a lot of room for large Bibles to sit beside notes. This makes a personal size large print a good choice. Consider how your pastor uses the Bible when preaching. Do they read lots of Scripture? Do they give a passage and then walk away from the pulpit? Do they carry it around while preaching? Does the Bible need to share space with notes on the pulpit? Bibles for preaching need to lay open anywhere in the Bible. It would be distracting to the pastor if they had to find their place because the Bible closes on its own or if they had to hold it open because of stiff covers. Sewn bindings are best. Even if your Church only uses one translation your pastor can benefit from using several. They shed light on passages which helps in preaching and teaching, and can help when discussing passages with others. Maybe even consider a translation the pastor doesn’t currently have but you know they would like. You might even consider one from a different translation philosophy or family than they currently use. 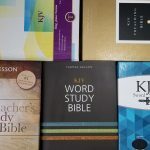 Popular translations include ESV, NIV, NLT, HCSB, NKJV, KJV, MEV, NRSV, NASB, etc. You could also get a parallel edition with multiple translations. There are several great choices for a general use all-around Bible. These are typically reference editions with some basic tools. You can get them in various sizes. They’re more like a multi-tool and are often used as a primary Bible. Every pastor should have one. The general-use reference Bible is probably the most popular Bible and if the pastor only has one Bible it’s likely to be this type. Popular choices include the Cambridge Concord, Clarion series, Allan Longprimer, TBS Westminster (also Schuyler), Thompson, Quentel series, etc. Pastors use their Bibles a LOT. The higher the quality the longer it last. Bonded and imitation leathers wear out quickly with use. Paste-down liners, especially with cheaper Bibles, will tear and the Bible will have to be replaced or rebound. Many pastors love edge-lined goatskin, calfskin, or cowhide. These Bibles range from close to $100 to over $200. 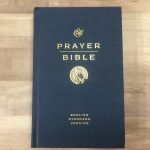 Publishers with goatskin editions include Cambridge, R. L. Allan, Schuyler, Tyndale Select, Crossway Heirloom series, etc. Publishers with calfskin or cowhide include Holman, TBS, LCBP, etc. 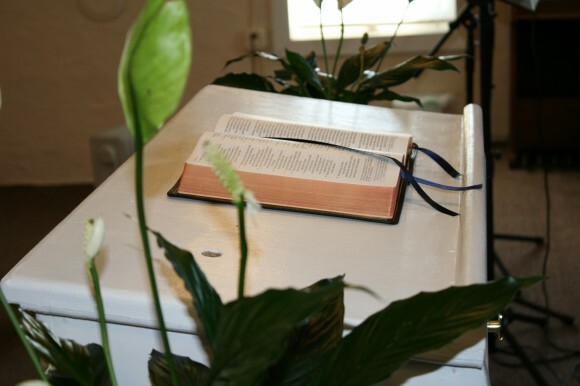 Pastors love and appreciate Bibles – their most important tool. Even if your pastor already has a Bible they use they can benefit from another one. Pastors have plenty of uses for various Bible and there are plenty of Bibles available to fill those needs no matter how specific they are. Using the tips here you should be able to find your pastor a Bible they will love and cherish for years to come. My thanks to the pastors, preachers, and reviewers that gave us tips along the way. Do you have any tips to add? I don’t know if it comes in large print, do you? and secondly what point type is considered to be “large Print”? Great article Randy, thanks for including us. It was a pleasure. God bless. Thanks Bob. I appreciate you being a part of it. I think for study it’s the one time to make sure it’s got the apocrapha in it. Even if they are secondary, people ask about it from time to time. A pastor should have access. In a carry bible, I never want them because of weight and they don’t get read.